So, I've written about Linjer quite a few times on my blog already, and today we'll have the first actual review type of article. 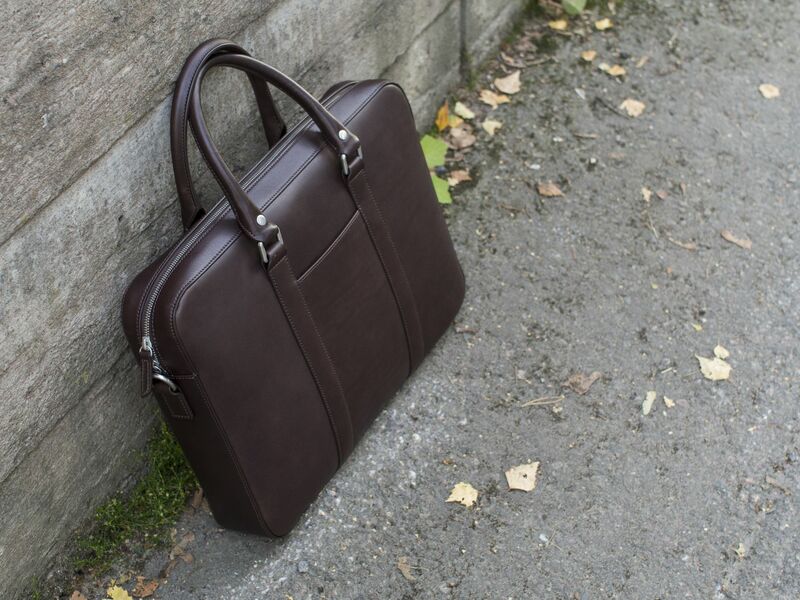 Linjer is a young Norwegian company making leather bags and accessories, and about a month a go I finally received my mocha soft briefcase. The leather briefcase is made of vegetable-tanned full-grain aniline-dyed leather of the highest grade, and it retails for a very reasonable price. What originally sparked my interest in Linjer though, was not the aggressive pricing, but the insanely beautiful design combined with the highest quality materials. Furthermore, I'm really happy there are these new companies that promote quality and top design without charging millions. So, what are my first impressions on the quality of the bag? 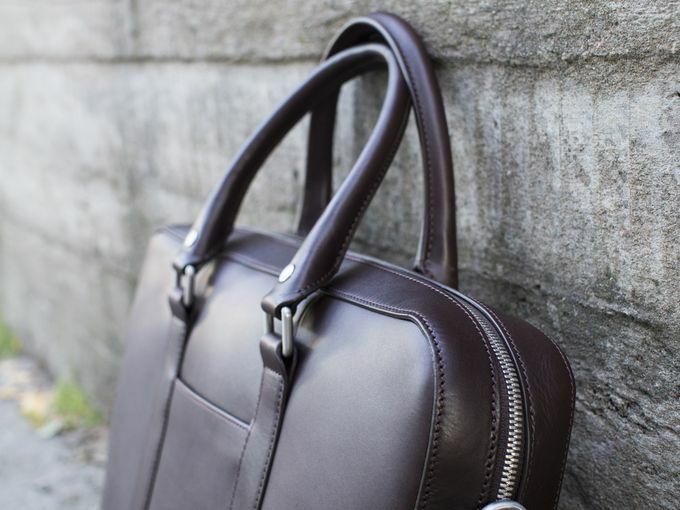 First of all, the leather feels thick and soft, but the bag itself has pretty good posture due to minor padding on the inside. Now that I've been using the briefcase for about a month, the leather has further softened quite a bit. The combination of dark brown color and vegetable-tanned full-grain leather also make a base for building a beautiful patina over time. The inside is lined with light grey cotton canvas that is a good neutral choice, I think. Even though I personally have a soft spot for suede lining, this is definitely a durable yet stylish design decision. The bag is equipped with a YKK Excella zipper and all the other metal parts feel really solid, so all is good there. Lastly, the quality of finishing is good and on par with the major players in the business. 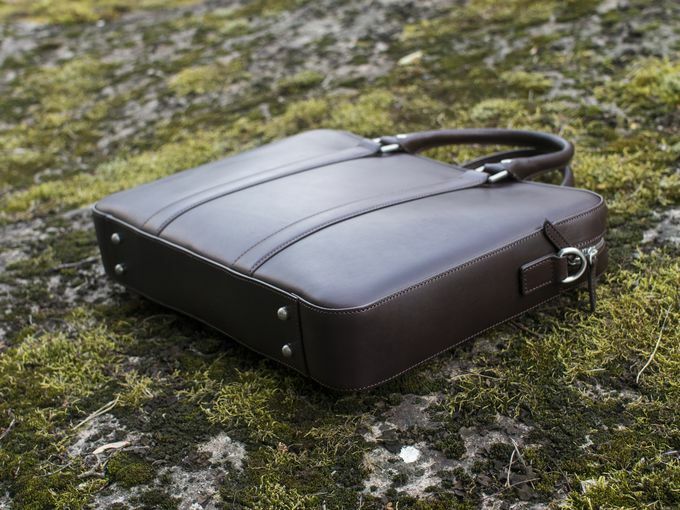 If we look at the design, I suppose it's easy to agree it is easily one of the best-looking briefcases available today. Linjer has created something that's simple, elegant and timeless. What about when we look past the aesthetics? First of all, the bag is surpisingly roomy. Things I carry daily include a 12" laptop (it fits up to a 15” inch laptop), a charger, a mouse, a bottle of water plus the occasional paper documents. My Linjer has carried all this without a problem, although it must be said that this model will not be ideal if you intend to carry a lot of stuff. The inside is divided into three separate parts with padded dividers, something I've really been missing in my other bags. There's also a pouch like pocket for your phone, and a few pen holders. The only criticism I have really, is that I would personally like more smaller pockets inside the bag. This might just be a personal preference, but I tend to have a lot of miscellaneous stuff I like to organize in different compartments which is not really possible in this instance. In addition to the soft briefcase itself, the package included a white felt bag and a full leather strap. 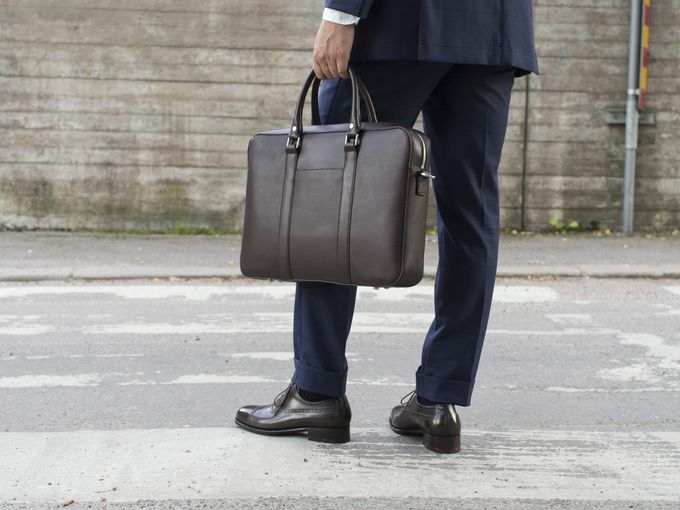 The felt bag can be used for storaging the briefcase and is another important detail as Linjer continues to challenge brands that have already existed in the market for a longer time. 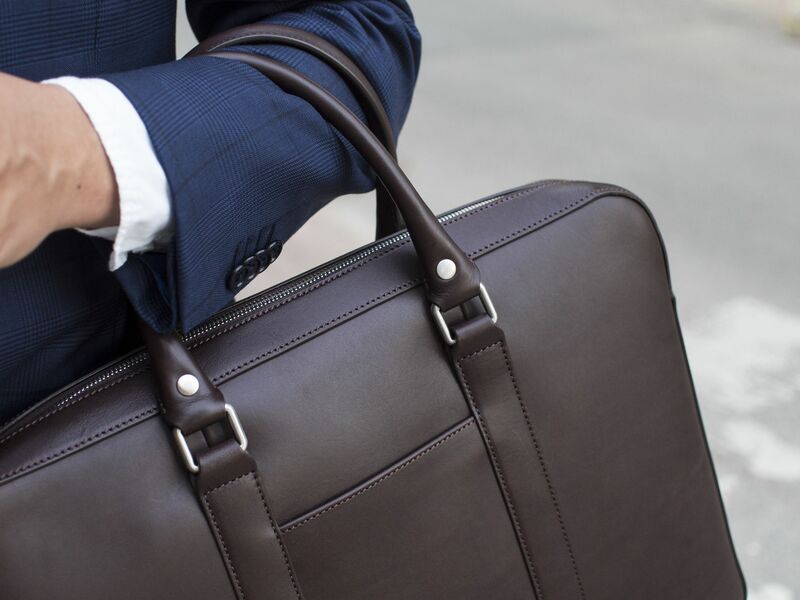 A full leather strap is worth highlighting as well, as there are many briefcases twice the price of this one that still come with a canvas strap. 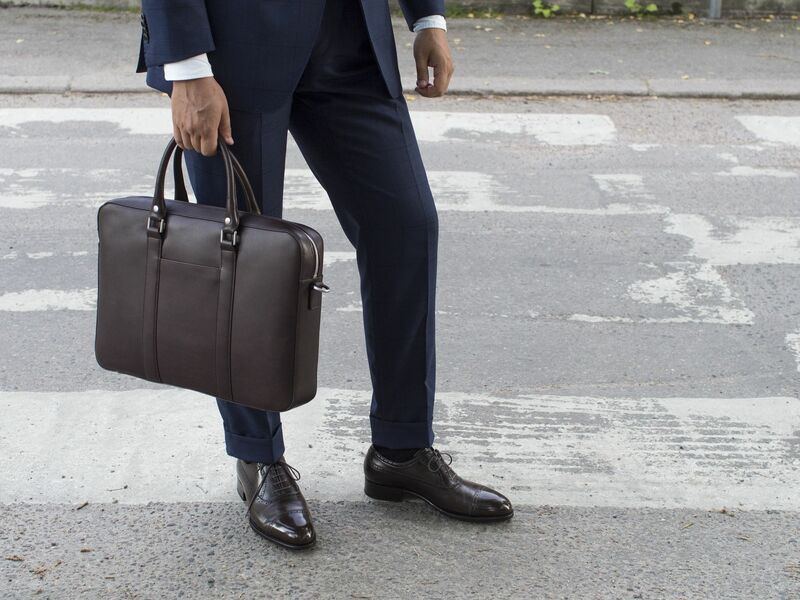 So, all in all, I'm happy to say Linjer's soft briefcases didn't disappoint me. After a long search I've finally found my leather briefcase, and my bag collection seems pretty good for many years to come. 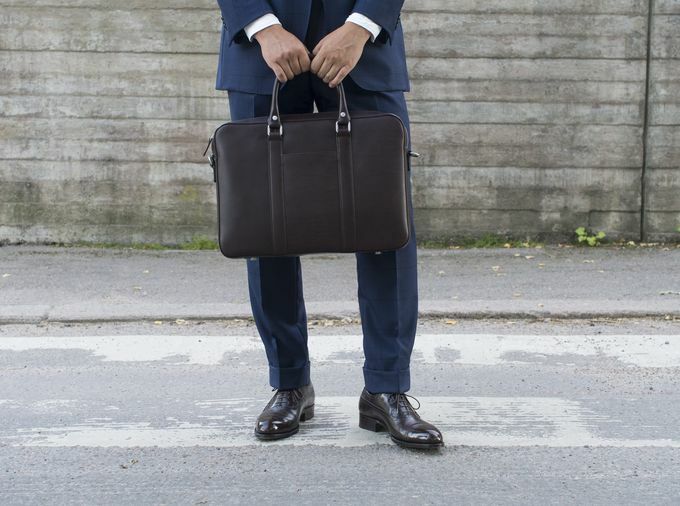 If you're looking for a reasonably-priced but good quality briefcase, I would definitely recommend checking Linjer out. The prices are still very much as the company advertises itself- without the luxury markup.